Neopia is full of creators of all sorts. Artists, coders, writers, gamers, crafters... okay, there are just too many to list. You'll have to take our word for it. Or, even better, check out the spotlights below! The best in Neopia are showcased regularly and contest winners are heralded for their greatness. Don't forget to enter if you want a trophy of your very own! Sadly, these competitions are no longer running, but we have kept them here for posterity. Feel free to browse all the winners of Neopia's past! Adventure Spotlight - A contest of adventure and choice! Some very fine stories were written using the Neoadventure Generator. Faerie Caves Spotlight - A weekly spotlight of the very best Faerie Caves II levels. Pirate Cave of the Week - Those who put Hannah in the best levels won this spotlight. Gadgadsbogen Puzzle - What colour grass skirt, how low could they limbo, which cocktails they drank and what fruit they ate!!! Whack-A-Vote - Which staff member was going to appear in a Whack-A-Staff-Member. New Paint Brush - Choose the next Neopets Paint Brush! Ski Lodge Murder Mystery - One by one the Neopets staff dropped like flies, but who was the cold blooded killer? Merry Costumes - Our Christmas Picture Competition! Pick-a-Jetsam - We did this to choose the new Jetsam. Pick-a-Mynci - We did this (surprise surprise!) to choose the new Mynci. Pick-a-Gelert - We did this to choose the new Gelert. 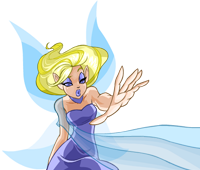 Sacrificers - One Neopets staff member per week was chosen to be given to Pango Pango until only one remained. Who was victorious? Ahhh... you'll just have to find out yourself! Neopets version 2 - Can you rescue the children trapped by Sloth's evil program?